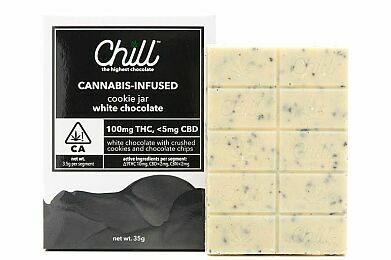 CHILL The Highest Chocolate indulges the pickiest sweet tooth with the silky Chill Milk Chocolate bar. 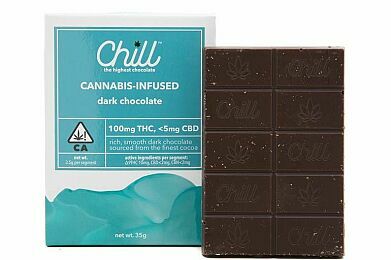 This handcrafted bar contains premium ingredients and is filled with a potent 100 mg of CO2-extracted THC and less than 5 mg of CBD. 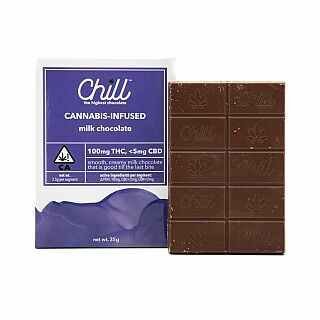 Designed for sweetness and long-lasting relief, the Chill Milk Chocolate is easily dosable and the perfect solution for all your cannabis needs.